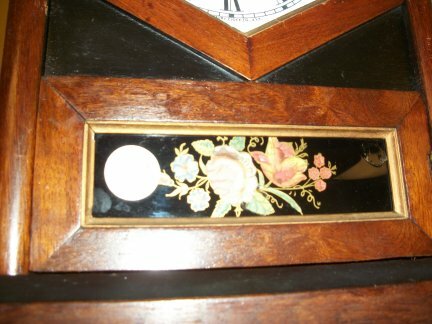 8 DAY MANTLES-1676-WATERBURY 8 DAY TIME AND STRIKE COTTAGE CLOCK. 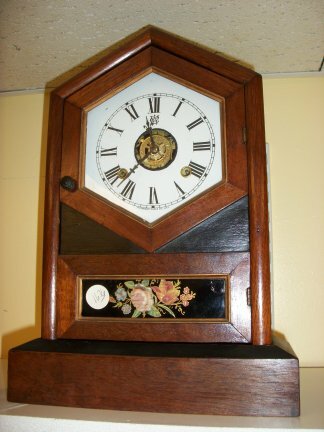 This is a 8 day time strike and timer Cottage clock. 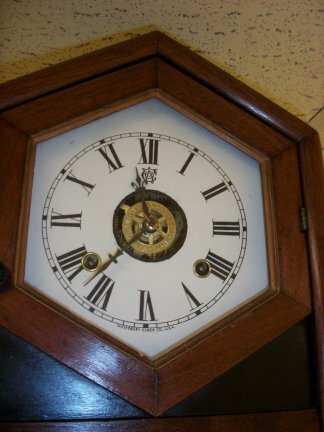 It was made by the Waterbury Clock company. 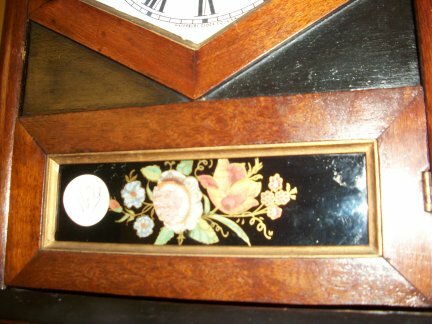 Closer view of hand painted flowers on glass for the tablet.